Flanagan promises to focus on providing access to justice for those in need of legal help. Reno, Nevada. Jan. 11, 2016. The Second Judicial District Court is proud to announce that District Court Judge Patrick Flanagan was unanimously elected Chief Judge for the Second Judicial District Court. He is a graduate of Duquesne University in Pittsburgh, Penn., and California Western School of Law. He is the past president of the State Bar of Nevada, the Washoe County Bar Association and the Nevada Chapter of the Federal Bar Association. 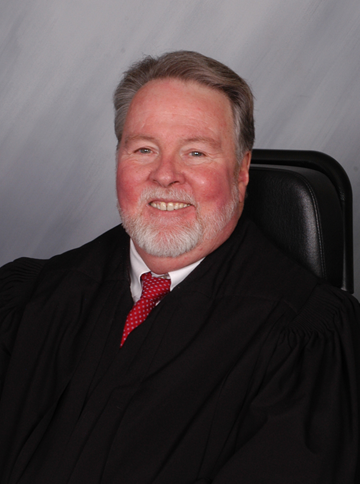 Prior to his election in 2006, Chief Judge Flanagan was a partner at Hale Lane Peek Dennison and Howard and served as an assistant federal public defender for the District of Nevada. He has appeared in every level of state and federal court from Municipal Court to the United States Supreme Court. Chief Judge Flanagan also has received and maintained among the highest ratings in the bi-annual judicial surveys during his tenure on the bench. In addition to his administrative duties, Chief Judge Flanagan will focus his efforts on improving the District Court’s pro bono efforts, supporting the specialty court programs, and providing access to justice for those in need of legal assistance. The Second Judicial District Court was established in 1910. District courts are courts of general jurisdiction where civil, criminal, family and juvenile cases are decided. The Chief Judge presides over a court with 14 other district court judges, in addition to commissioners, court masters and the Washoe County Law Library/Self-Help Center, as well as a staff of 160 full-time clerks, officers and support personnel.